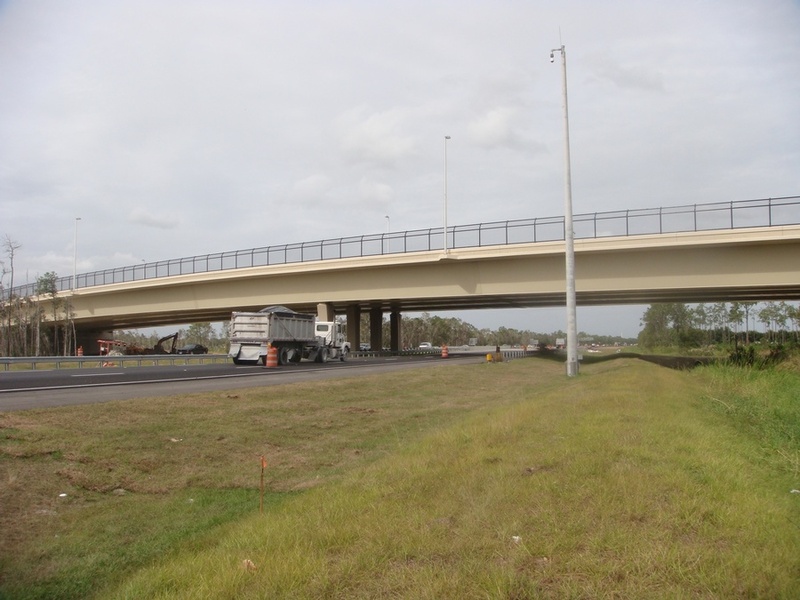 In a Value Engineering redesign, FINLEY replaces twin, cast-in-place concrete box girders with a single, four-steel box girder design. 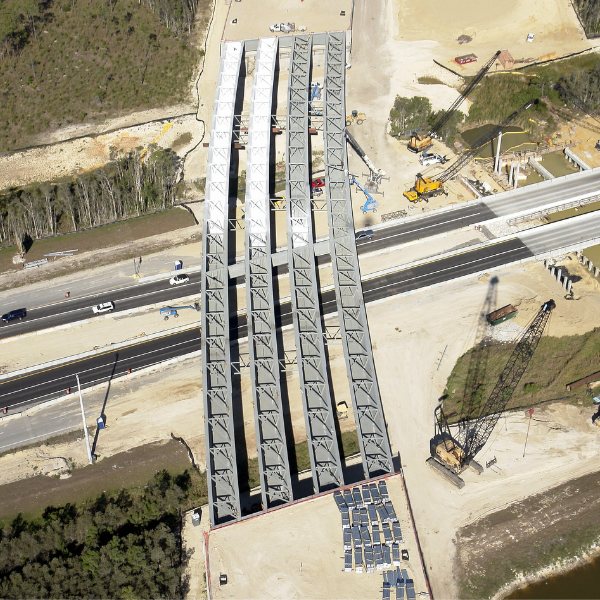 This solution provided a savings of $2.94 million to Lee County with the elimination of a large falsework support system, reduced construction time, reduced foundation design requirements, and simplified construction methods. 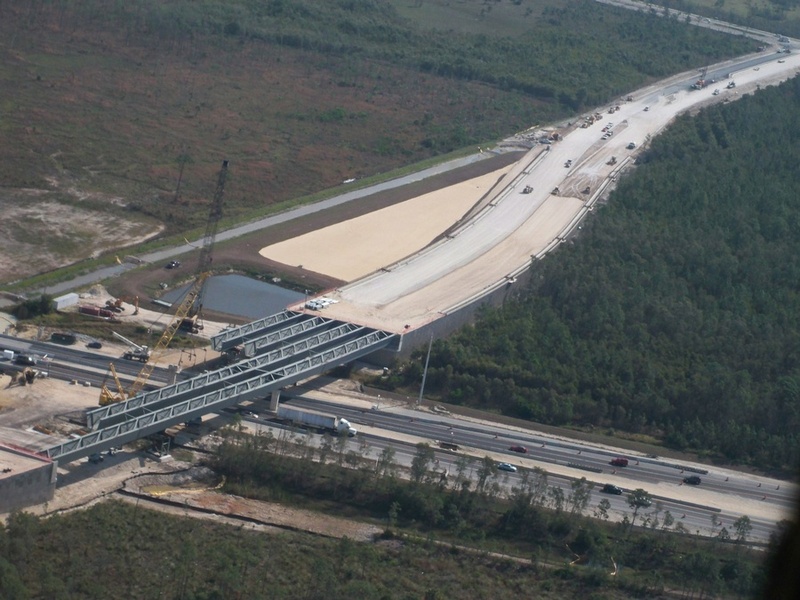 The elimination of much of the falsework also provides relief to an ongoing widening project of I-75 beneath the structure. 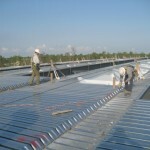 Courtesy of ZEP Construction, Inc. 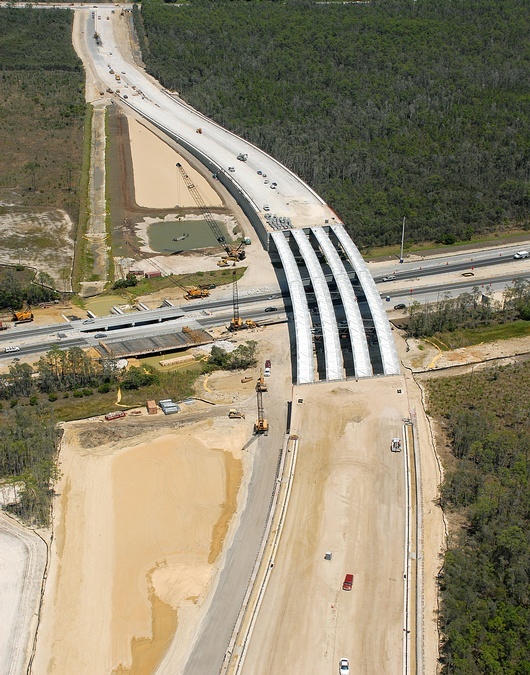 The Estero Flyover is 561 ft. long with spans of 340 ft. and 221 ft., and approximately 116 ft. wide. 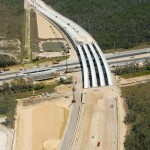 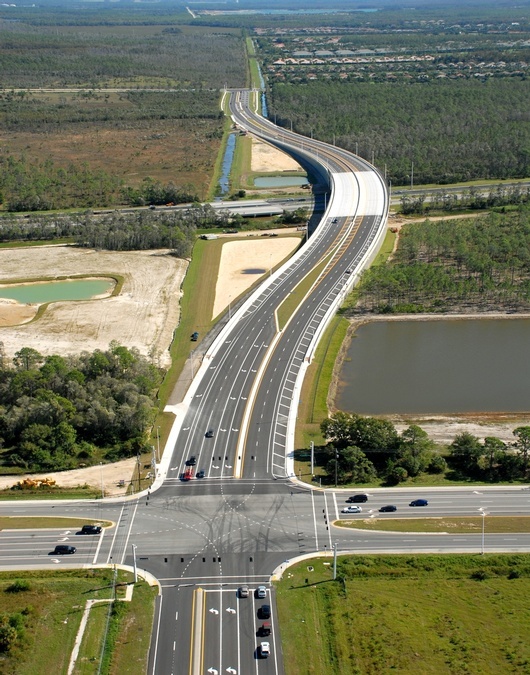 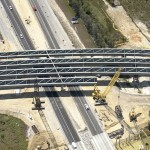 It extends Estero Parkway over I-75, connecting to Ben Hill Griffin Parkway at a total bid cost of $35 million. 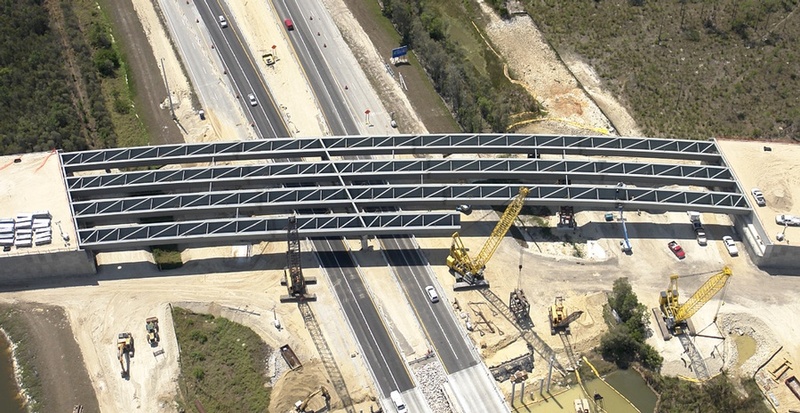 The redesign called for a staged, temporary tower-support scheme to optimize the efficiency of the steel section, which allowed the steel bridge solution to be competitive against the initial cast-in-place design. 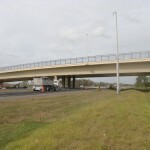 The $2.94 million refund to the county is significant because the county is responsible for funding the flyover, and the money will help it meet its budgetary commitments. 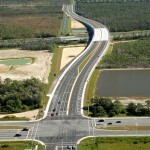 The VECP redesign resulted in cost and time savings for Lee County and the Contractor. 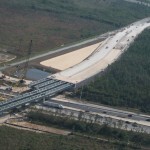 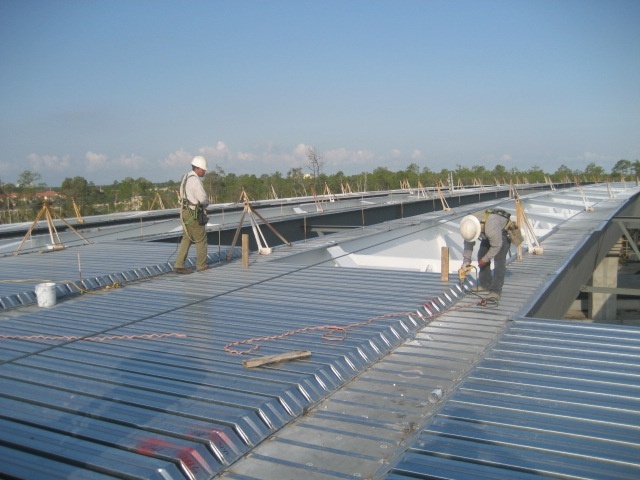 The project was completed in September 2009.